In a classic case of what not to do, a Woodbury, New Jersey couple set fire to their home while trying to remove bed bugs from a bedroom chair. Multiple fire companies were required to battle the blaze which injured one firefighter. The homeowners admitted they had been trying to use heat to remove bed bugs from a piece of furniture. Using a space heater, hair dryer and heat gun on the chair simultaneously, they obviously overdid it! Bed bugs are susceptible to extreme temperatures, but the problem with heat treatment is that bed bugs must be exposed to a constant minimum temperature of 118°F. for at least 20 minutes; eggs for 90 minutes. As the New Jersey couple found, that’s effectively impossible to achieve safely without specialized equipment or professional services. Because there has been no mention of the home being infested with bed bugs, it is likely that the chair was a second-hand piece of furniture already infested with bed bugs when the couple brought it into their home. 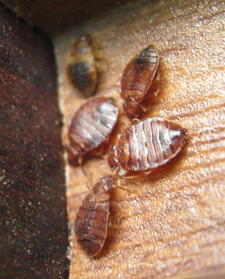 Used, found and second-hand furniture have become a primary method of bed bug infestations in New Jersey homes. When furniture is infested, Stern offers reliable professional fumigation at an offsite location. We us an odorless, colorless, tasteless gas that leaves no residue or film to treat clients’ furniture as part of our bed bug concierge services. They are called “bed bugs” but that does not mean that they are only found in and around beds report Manhattan pest control professionals. In this busy travel week, people are hitting the airports, train stations, renting cars, and riding buses to get to their travel destination. Forget the frigid weather, like New York City during the Thanksgiving week, the Washington, DC metro area is filled with fun activities for tourists and locals to enjoy. Many people who visit the Nation’s Capital during the holiday season come to see the incredible sights, the Festival of Trees, and of course the lighting of the National Christmas Tree on the National Mall. With parking being a difficult feat, most people find it best to take the Metro rail system as they make their way in and out, and around the Washington, DC area. Head’s up everyone! The Washington Examiner reported on November 18, 2012 that bed bugs have been found in the Metro’s headquarters office. According to reports, the Metro has not answered questions as to whether any of the bloodsuckers have been found on any Metro trains or buses. As a perk for working for Metro though, employees are given free transportation on the Metro system. Bed bugs don’t fly and they are not like a cockroach which could have crawled in from the street. They are hitchhikers which mean that the pests most likely hitched a ride into the building via an employee/s. Because bed bugs are hitchhikers, it is feasible that the creepy bugs fell off of another passenger and climbed aboard a Metro employee. No matter how the pests arrived in the building, full disclosure to employees and the public is the best way to help end the rumors and the spreading of these pests. Bed bugs infestations must be treated quickly and efficiently by a licensed pest control professional for full eradication. Special care must be used when bed bug treatment is being considered report Manhattan pest control specialists. In the world of pest control, because of the resurgence of bed bugs in the United States, there has been an onslaught of start-up companies claiming success in the treatment of bed bug eradication. Some companies however are new and therefore do not have the years of experience that is required to safely kill the pests. Some companies have made the mistake of using outdoor pesticides that are not acceptable for use indoors. Some companies have tried new remedies for treating bed bugs which have had serious consequences. Pest Control Technology reported on November 2, 2012 that fourteen people in New Hampshire were displaced by a fire that broke out in a building where heat treatment was being used for bed bug eradication. 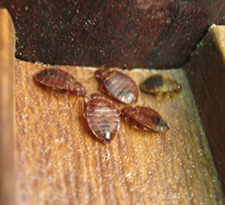 Heat remediation is a relatively new means of treating bed bug infestations. It is effective in that it will kill bed bugs in all stages…ie…adult, nymphs, and their eggs. Bed bugs are essentially baked to death when heating units are placed in a home, apartment, hotel, business, etc. Bed bugs are susceptible to death once the temperature reaches over 120 degrees. There are different types of heating units that can be used in the heat remediation process. Each must be closely monitored to ensure that the structure remains safe. In addition, heating units must be placed in certain locations so that they do not ignite items that are left in the structure. The problem arises when inexperienced pest control technicians perform this type of service or when faulty equipment is used. Despite being considered a “safe” type of treatment for bed bugs, fires do break out, often with devastating consequences. If you are experiencing a bed bug infestation in your home or business, it is important that you investigate the pest control expert that will perform the eradication service. Don’t be afraid to ask for references and check with your local Better Business Bureau to see what the experience of previous customers has been. Maybe OK Legislators Do Not Completely Understand Bed Bugs And Other Insects! Bed bugs are apparently alive and well in Oklahoma. According to News9.com on October 2, 2012, an Oklahoma City apartment complex is crawling with bed bugs, cockroaches, and fleas. Residents are having a difficult time getting rid of the pests in their apartments as these invasive bugs travel from home to home with ease. Just as one apartment is cleared of the bugs, they move next door to bug the daylights out of the next tenant. Residents report that before you know it, the pests are back in their apartment once again. Many states have enacted laws in regards to various pests that invade rental properties. Some pests are considered to be “vermin” while others are not. In most states, cockroaches, mice, and rats fall into the category of “vermin” as they carry dangerous diseases that can be transmitted to humans. On occasion you will find a state that actually considers bed bugs to be vermin, despite the fact that they are not known to transmit diseases onto humans or pets. Oklahoma legislature states that renters do have some rights when it comes to eradicating pests within their living quarters. Tenants are responsible for notifying their landlord in writing when pests such as bed bugs are found in the rental property. The landlord in turn is responsible for eradicating the pests within 14 days of written notification from the tenant. If the landlord does not provide services, the tenant is allowed to break their lease and vacate the premises without any consequences. Although good in theory, there are a few problems with this legislation. In the case of bed bugs, if tenants choose to break their lease and move to a new location, they will undoubtedly take along the bed bug infestation to their new rental property, thereby spreading the infestation. Landlords who do not properly treat their facility in the first place will simply be infecting the next incoming tenant, which will also cause the bed bug infestation to spread to yet another family. Is it no wonder with laws like this that the bed bug problem in the United States is so out-of-control? What would you expect to find at a good children’s museum in New York? Certainly there would be exciting exhibits and interesting collections for children to view. There would possibly even be neat things for the kiddies to touch as they learn about the new things they encounter. One thing you might not expect to find at a museum is…bed bugs…unless they were in a glass case! They are however reportedly at the first museum that was created for children. The New York Daily News reported on August 29, 2012 that the Brooklyn Children’s Museum has been making a futile attempt to fight off bed bugs. According to their report, the first bed bug treatment occurred on August 16th where three locations in the museum were found to be infested with bed bugs. On August 20th, a bed bug sniffing dog was brought to the facility. The pup found two more locations to be infested with the tiny vampires. Despite the fact that bed bugs have been found in many locations, the museum has remained open. The management of the museum is confident that they will not transmit any of the pests to any patrons who visit the museum. They say that they are following the recommendations of the City Health Department to rid their facility of the bloodsuckers. As you can imagine, employees are worried about taking the bed bugs home with them. In fact, one employee quit her job at the museum this week when she found bed bugs crawling in her clothing at her apartment. The museum’s annual closure for cleanup will run from September 10th-21st. They will readdress the bed bug problem at that time. But one must wonder…how many people will pick up a stray bed bug here and there from the museum and take it home with them in the meantime? It only takes one pregnant female to cause a full-blown infestation in anyone’s home or business. Question…Do you think that the museum is doing enough to protect the public against the bed bugs or should they close their doors until all of the bed bugs are gone?